South of the Border Mixology ~ Learn, Live, and Explore! I took another class at LivingSocial's 918 F Street event headquarters in Washington D.C. 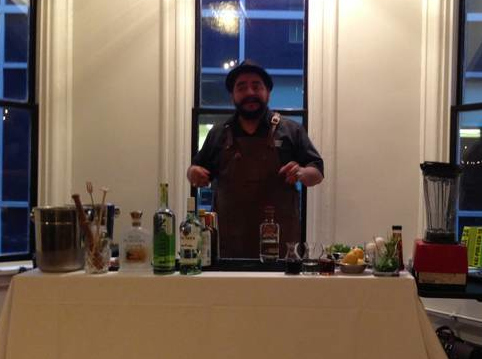 This time the instructor was an award winning mixologist, J.P. Cesares, who will be partnering with the new Farmers, Fishers, and Bakers restaurant opening in Georgetown this November. He focused on the basic drinks based on liquor found in Central and South America. First up, the margarita. I'm very picky on my margaritas, and I have to say this recipe was delicious! 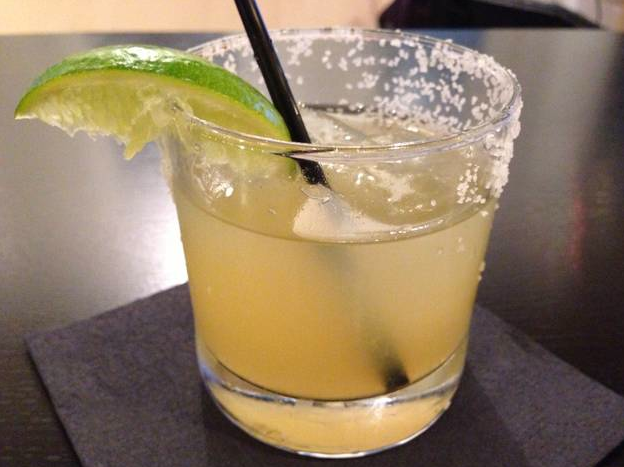 The key to a good margarita (and low hangover probability) is to get a good tequila. Pay up for Petron if you want, but understand it's just an example of marketing success. You can get an equivalent or better experience from another tequila, so long as it's made of 100% blue agave. Actually, to be called a tequila, the liquor just needs to be comprised of a minimum 51% blue agave and come from a particular area of Central Mexico that incorporates just five regions. This is kind of like the use of the terms champagne (vs. sparkling wine) and cognac (vs. brandy). Tequila not made in these regions are considered mezcal, and they tend to taste a bit smokier because they are processed by roasting with the "piña" with the leaves on top. Margaritas work best with tequilas that are either blanco (aged 0-3 months) or reposado (aged 3-12 months). Save your money on the anejo (aged 12-18 months) and extra anejo (aged 18-30 months) tequilas and use them on their own with ice. Good tequilas for margaritas are, for example, Hornitos (I use this!) or Avion. Next, we traveled to the Caribbean to explore an early rum-based cocktail - the yummy mojito! 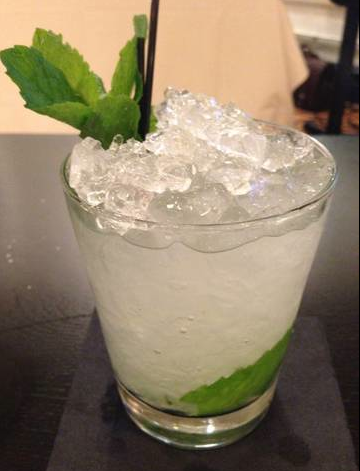 The mojito has its roots wrapped around Earnest Hemingway during his residence in Key West. The first recorded mojito was in the late 19th century when it was called El Draque, but it was Hemingway who made it popular. "Papa Doble," a nickname often used for Hemingway who liked his drinks strong, wrote about his drinking of the mint and rum cocktail at La Bodeguita del Medio, when not drinking his "Hemingway daiquiri" at La Floridita. 1. "Spank" the mint leaves by placing them in your hand and smacking them once, hard, with your other hand to release the oils. Place in a chilled Collins glass. 2. Gently muddle the mint leaves in the glass with a muddler. 3. Pour rum, lime juice, and simple syrup into the glass. 4. Swizzle the liquid over crushed ice. 5. Gently "spank" remaining mint leaves to garnish. For our third drink of the night, we went further south to Brazil. The liquor, cachaça, is the most popular liquor in Brazil where 1.5 billion liters are consumed every year, compared to 15 million liters consumed by the rest of the world. The liquor is 38-48% alcohol by volume (ABV) and is typically aged 12 months in a cask. Since it is distilled from sugar cane, it is similar to rum but has a much stronger smell and taste. 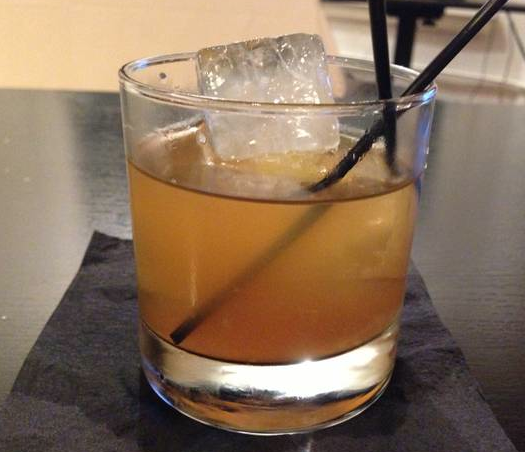 As our instructor said, it's like pouring rhum agricole into a shoe and then drinking it. A bit more pungent. The popular Brazilian drink, caipirinha, is based on this liquor. 1. Cut peeled lime into quarters or eighths. 2. Muddle the lime in the shaker. 3. Pour cachaça, lime juice, and brown simple syrup (1 part brown sugar, 1 part water) into shaker. 4. Add ice and shake vigorously for approximately 20 seconds. 5. "Dirty dump" into a Collins glass with no garnish. 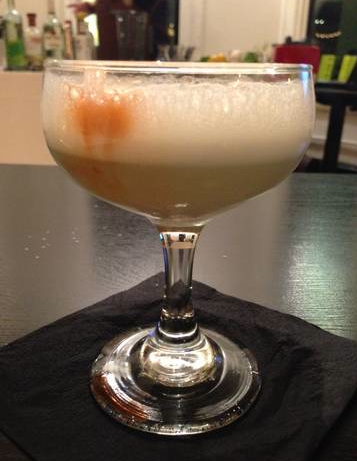 Finally, we covered a popular South American cocktail, the Pisco Sour. Pisco is another word for brandy, and the Pisco Sour was started by the bartender Victor Morris, an American, in the 1920s at a bar in Lima, Peru. What differentiates this drink is the use of egg whites to create a froth on top. 1. Crack and separate egg (use strainer) and pour egg white into blender. 2. Pour pisco, lime juice, lemon juice, and simple syrup into the blender. 3. Add ice cubes, no more than 5, just to ensure the drink is chilled. 4. Blend for approximately 15-20 seconds or until the consistency is less thick than a smoothie. 5. Pour into a wide and flat champagne glass, top with a little of the bitters as a garnish. Thanks to J.P. for a fun and informative night!